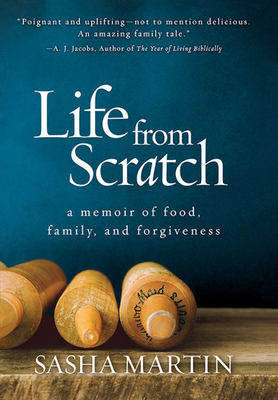 Life from Scratch is—in short—not your average food memoir. As food writer and blogger Sasha Martin (of Global Table Adventure) embarks on the culinary project of cooking, in 195 weeks, a meal from every country in the world, she and the reader are plunged into an unexpected and wrenching exploration into Martin's difficult past, and her struggle to reconcile and heal from it. Martin combines unflinching and insightful candor with artful and skilled recipes (I recommend trying her Kabeli Palau) to take us on a journey through taste, memory, and the people closest to us.